The Tale of The Princess Kaguya is a critically praised film that features the best of Japanese folklore and artful animation. Legendary Studio Ghibli cofounder Isao Takahata revisits Japan’s most famous folktale in this gorgeous, hand-drawn masterwork featuring an all-star cast including Chloë Grace Moretz, James Caan, Mary Steenburgen, Darren Criss, and Lucy Liu. 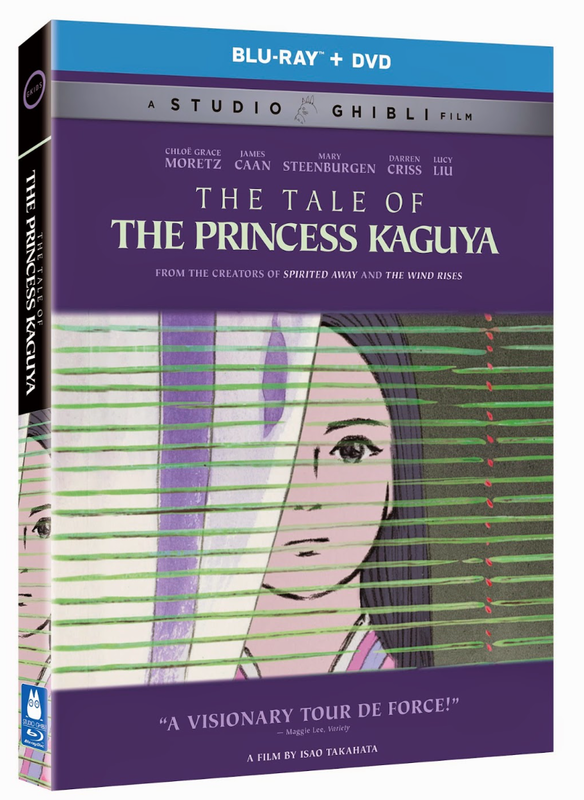 The 3-disc Blu-ray™ includes the film on Blu-ray™ and DVD as well as a separate DVD with a feature length documentary on the making of the film, titled Isao Takahata and His Tale of The Princess Kaguya. Certified 100% Fresh on Rotten Tomatoes and called “Gorgeous and magical!” by The Washington Post, The Tale of The Princess Kaguya, is available to own on DVD and Blu-ray™ with DVD as well as On Demand from Universal Pictures Home Entertainment, in partnership with GKIDS. This entry was posted in DVD/BLU RAY and tagged Blu-ray, Chloe Grace Moretz, Darren Criss, DVD, Isao Takahata, James Caan, Japanese folklore, Lucy Liu, Mary Steenburgen, Studio Ghibli, The Tale of The Princess Kaguya. Bookmark the permalink.